This land tour will take you past all the sights of Chicago’s Historic South Side. You will head south out of the Loop down Michigan Avenue past Art Institute of Chicago, the starting point of historic Route 66, Grant Park and the site of Chess Records. Your journey will continue along Lake Michigan on South Lake Shore Drive. Travelling on you will see President Obama’s home, Robie House, University of Chicago and Jackson Park and the Museum of Science & Industry. 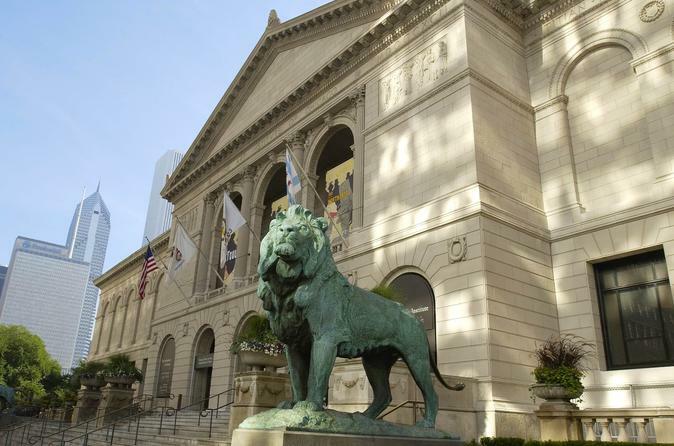 The return trip will take you through Museum Campus and past Buckingham Fountain. You will also enjoy a 90-minute Architecture River Cruise aboard Chicago Line Cruises. Throughout the signature cruise one of the award-winning Docents will present more than 50 skyscrapers, bascule bridges, and historic sites.In a world of iconic architecture, only a few images are so instantly recognized they need no subtitle. Think of the Venetian canals, a Shinto temple, the medieval Cathedral at Chartres, or the unmistakable skyline of Chicago. Each year thousands of architecture lovers travel to the City of Chicago, the birthplace of the skyscraper… and thousands book passage aboard this enthralling river tour, widely considered the best 90-minutes spent in Chicago. On your Architectural Tour you will learn how the Great Chicago Fire jumped a river and allowed for visionaries of structural steel and plate glass, such as John Wellborn Root, William Le Baron Jenney, Louis Sullivan (Wright’s mentor) and Daniel Burnham, in less than ten years, lift Chicago from the ashes of the fire to new heights. Chicago’s ascent continued into the 20th century with titanic figures such as Bertrand Goldberg, Fazlur Khan and Mies van der Rohe – (higher/taller) buildings, sleeker – and it has soared in the 21st century with audacious new steeples such as The Trump Tower and Aqua designed by Jeanne Gang, an internationally known artist of architectural design. A jaw-dropping excursion through a city that defied all expectations … even the laws of gravity.